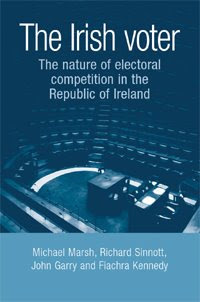 The Irish Voter has won the Political Studies Association of Ireland book award for 2008, as the best book published in Irish politics this year. It’s only the second year of the award, which was won last year by Richard English, for his title Irish Freedom: A History of Nationalism in Ireland. The Irish Voter is a comprehensive, academic survey of the motives, outlook and behaviour of the Irish voter. Visit the MUP website for more details.